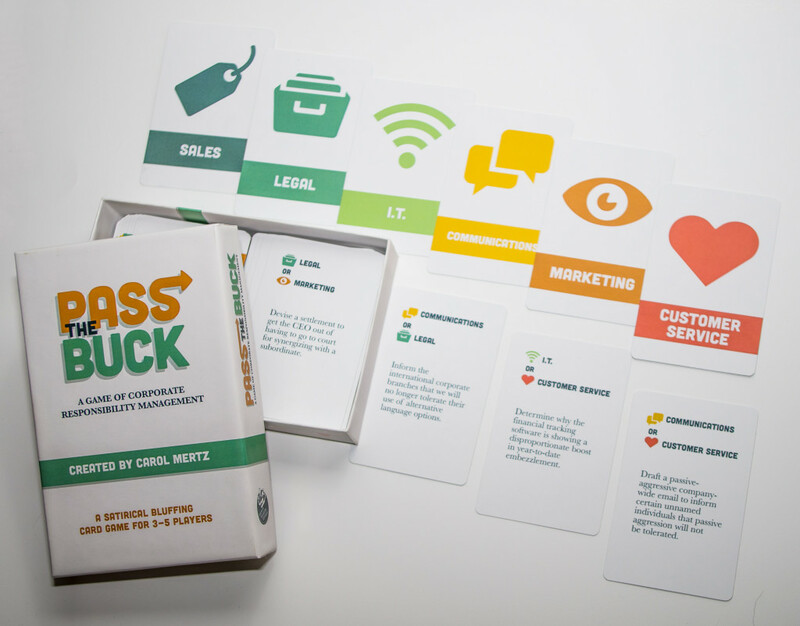 In Pass the Buck: A Game of Corporate Responsibility Management, players act as corporate employees who each have Tasks to do, Departments that determine their ability to complete Tasks, and a Level which indicates their job title. Players take turns as the Delegator, trying to get rid of all the Tasks in their hand by completing them one-at-a-time themselves, or by passing them off to their opponents for optimal efficiency. Players can bluff about whether they are in the proper Department to take a Delegator’s Task, but be careful! If the Delegator believes a player is bluffing, they can call HR, which could have dire consequences. 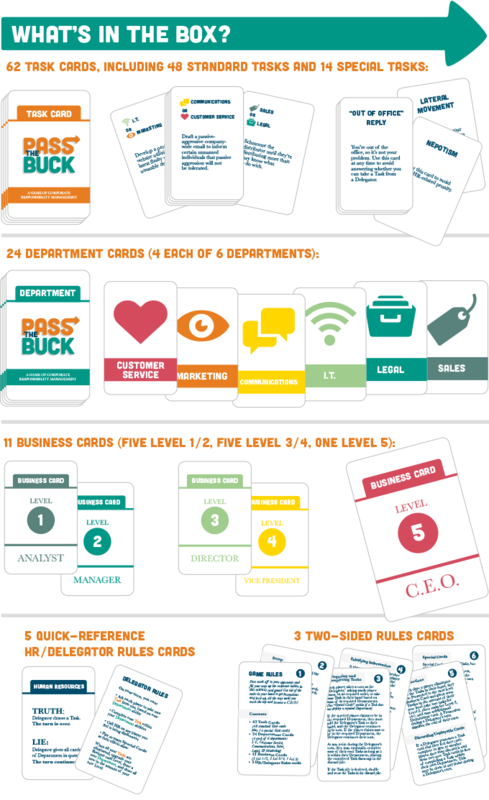 This lightweight card game is both comedic and strategic. If you’re great at forcing other people to do your work for you, you’ll be C.E.O. before you know it! Become our fan on BoardGameGeek! Sign up for our newsletter for news and updates about the game! The Kickstarter campaign to fund production of the game was successful (and even reached two of the stretch goals, greatly improving the quality of the components). You can now purchase the full retail version of the game directly from Amazon , or you can purchase the Print & Play version of the game through itch.io. 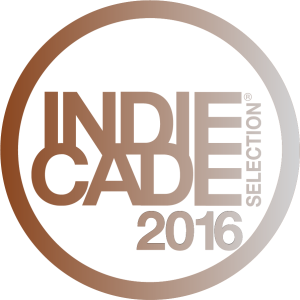 Why yes, feel free to download the press release for Pass the Buck here! Can I bluff in order to accept a Delegator's Task Card? The short story is that you can, but the long story is that there is really no good outcome for bluffing in order to take a Delegator’s Task Card. The best case scenario is that someone later calls HR on you and you get away with it, so it’s something of a wash (you’d get an extra card when the Delegator gives it to you before, and the Delegator has to draw a card and end their turn as punishment for calling HR when you were telling the truth). The entire goal of the game is to get rid of cards; by taking someone else’s card without being in the right department, you are not only benefitting the other player by letting them get rid of a card, but you are also putting yourself at an extraordinary disadvantage by taking a card that you can’t even complete on your own turn. Because you haven't asked it yet! Get in touch with the designer here!